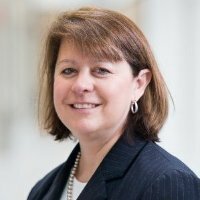 Convergex has appointed ex-Nasdaq VP, Ann Neidenbach as its newest CIO. Convergex, a global brokerage and trading related services provider has appointed Ann Neidenbach as its newest Chief Information Officer (CIO), who brings with her twenty-five years of experience in the financial services industry, according to a Convergex statement. Earlier this year, Convergex recruited Philip Gough and John Holl as their executive leaders at Convergex Limited, its London-based brokerage. Mr. Gough serves as the group’s CEO, with John Holl assuming the position of managing director and head of Convergex sales and trading. In her role as CIO at Convergex, Ms. Neidenbach will be tasked with the firm’s software development, information services, and technical infrastructure. As part of the appointment, she will also become Convergex’s newest Executive Committee member. Ms. Neidenbach joins Convergex from Nasdaq, having served as its senior vice president of market systems, as well as COO/CIO of Nasdaq Europe. She also has held executive level roles at Citi.